Artificial lighting plays an important role in our lives. 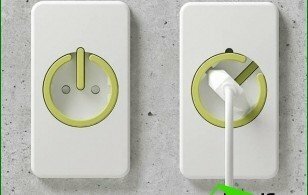 On how effectively it is implemented it depends on our mood and well-being. 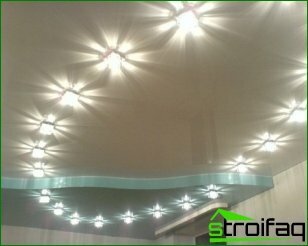 Let's look at the different types of artificial lighting. Coverage can be local, and maybecommon. General lighting is important for the functioning of the apartment. A local can be further divided into decorative and functional. The group applies the light next to the mirror, under the kitchen cabinet, on a desk, highlighting elements of the room, or paintings, which we wish to highlight. By separating the light on the local and general can distinguish different types of lamps. They can emit ambient light or use directional flows. 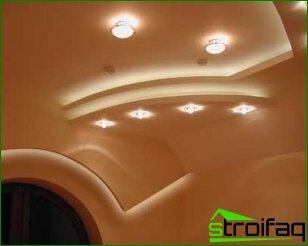 The main kind of artificial lighting It is common. When using scattered light can ensure that it penetrates everywhere. This can be achieved using the classic chandeliers, luminous balls or hanging lampshades. However, it is important to understand that several reflectors located on the rack does not achieve the same effect. 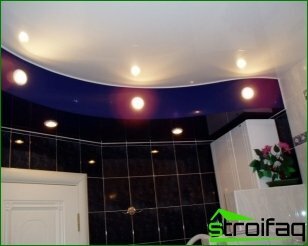 A mounted in the ceiling halogen lamps can provide the required level of illumination is only a fragment of the floor or wall, and the upper part of the room will be in the semi-darkness. As a result, the impression that the light is not enough. However, a standard bulb will create enoughlight to the entire space. If the coverage of the ceiling to give enough attention, then the whole room looks spacious. 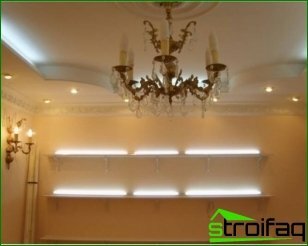 This effect does not allow to achieve the ceiling, but this goal is achievable for hanging chandeliers. 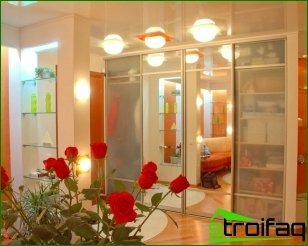 Many people prefer to use light,reflected from the surface of the walls and ceiling. The source of this light may be fluorescent lamps, due to which it is possible to achieve a uniform distribution of light. The amount of light they receive, is largely dependent on their size. Even long lights do not consume large amounts of electricity. This kind of artificial lighting It depends on where it is located, andfrom the place of its execution. It is important to be located above the table lamps were allowed to receive the scattered light. Most correspond to the requirements of luminaires with canopy that covers the bulb. Located next to a wall or sofa chairlights should be placed, which will provide a sufficient level of light for reading and will be suitable for the decoration of the living room. Floor lamps can meet both of these requirements. A mirror placed near the lamp must not blindly, but to provide enough light for the face. 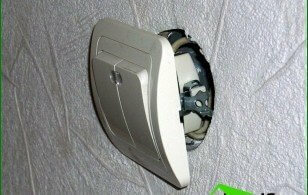 To do this, you need to install light bulbs above a mirror in the lowered ceiling, or above eye level. Work surfaces should also be welllit - ironing board, desk or countertop kitchen. Desk should also be illuminated. Especially effective in this case the mill directional light with a wide emission angle. And the area around the bed can fill the light of a lamp or a sconce. Placed on the walls of photographs and paintingsIt can be lit using embedded in the wall or ceiling luminaires designed. These lamps must emit a halogen light. They can be built into the ceiling or mounted on its base, their shape also differ considerable variety. Above the pictures you can set specificWall lights. A large wall decorations (eg, Desktop) and the decoration of the walls can be illuminated by a directional light beams received from the located in a row of luminaires intended. Another method of surface coverageis the use of slots in the ceiling. Here you can apply constant light sources. This decision could give the impression that the wall is infinitely goes up, and the light penetrates into the room from somewhere outside through the crack. And if the walls have decorative texture, then the top of the backlight can be given to particularly good effect. In this case, can stress chiaroscuro drawingsurface. 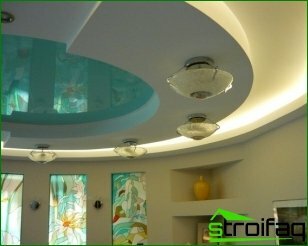 Lighted decorative niche can be installed using the ceiling lights. Boca or the back of the niche can be made of glass, behind which can be positioned lighting. Placed on the shelves of things can be dealt withoutside but can be positioned on the shelf and a lamp. Especially intriguing effect has a light that penetrates through the partition. He can get through a section of decorative wall or built-in furniture. Each type of light has its own characteristics. Considering them, you will be able to choose a suitable light source, which will help in achieving your goals.